Born in the plains of Castile, Spain, Miguel Llorente is a traveler, writer and entrepreneur. Having worked for Hasbro and The Simpsons, he graduated from the Rhode Island School of Design (RISD) in 2011 and moved to California, where he worked in the restoration of Mercedes-Benz Gullwings at Burlingame Motors. He has co-hosted the online car series "Open Roads" with famed YouTuber Tyler Hoover, and driven great part of the PanAmerican Highway in his grocery-getter, a 1981 Mercedes-Benz station wagon he nicknamed "Livingstone". While he found the lost 300SL in Cuba, his trip was cut short by a dreadful car accident in Colombia, which forced him to move back to his hometown in Spain. As he healed from his wounds, he helped his family set up and run Four Lions, a microbrewery in the town of León, as well as his very own automotive export business. His passion for things on wheels led him to the United Arab Emirates, where he served as the Chief Curator at the Al Ain Classic Car Museum. He is currently the Assistant Manager at Tomini Classics and drives classic Ferraris for a living. 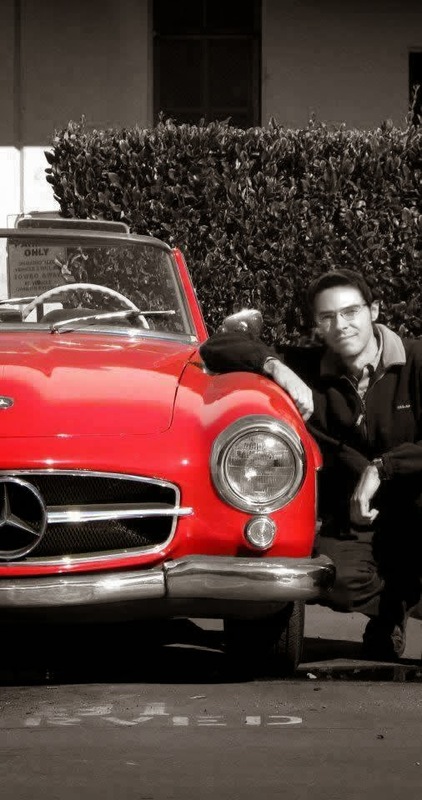 He still dreams of owning a Mercedes 300SL Gullwing and using it on a daily basis. Feel free to write an email for any questions, suggestions or comments!